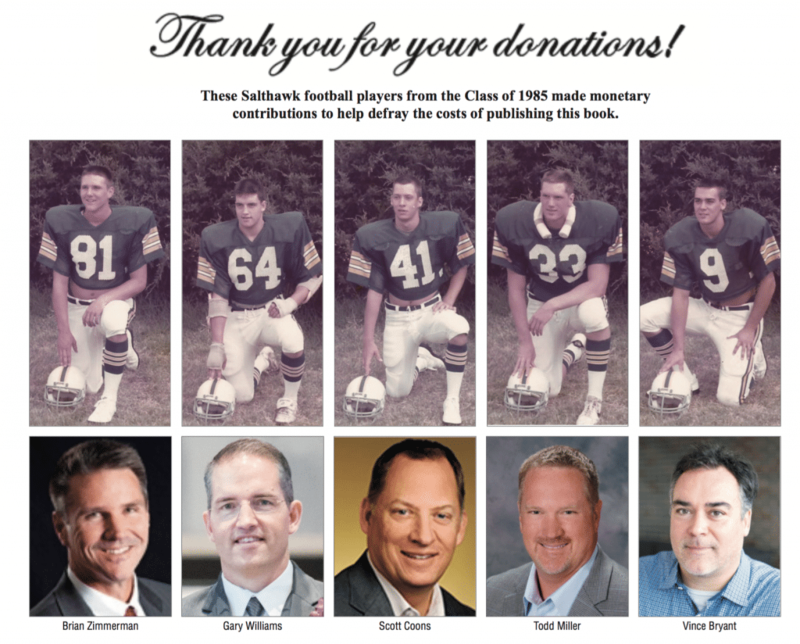 Hutch Salthawks Football History - Huddle Up, Hutch! 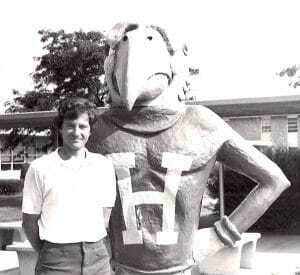 My interest in Hutchinson High School football began when I joined the football staff in August of 1976, and the Salthawks have held a special place in my heart ever since. During my years as head coach of the Hutch High football team, I began to keep detailed records for each season, and eventually Coach Randy Dreiling resumed that project in his years as head coach. Since we both wanted to share more of Hutch High’s football history with players, fans, and the community, Coach Dreiling and I discussed several ideas and decided to begin by placing large historical action photos on the walls of the North Gym Complex. Hoping to make the idea of photographic wall murals a reality, I volunteered to locate photos that might work. Over the next year and a half, I perused every Allagaroo yearbook and High School Buzz newspaper in the Library Media Center at Hutch High. Although I scanned all photographs associated with the football program, I did not find many that were of the photographic quality needed for large reproductions, causing the wall mural project to be shelved. However, during this pictorial research and scanning project, a new vision came to mind and became the turning point in this story. Now I began to think in terms of researching, writing, and publishing a book that would chronicle the history of Hutchinson High School football. In order to make that new vision become a reality, I knew it would require a yeoman-like effort and a highly systematic approach to organizing the information and photos in order to retrieve them for use in a first draft of the book. After all, there were over 110 years of articles from the The Hutchinson News, Allagaroo yearbooks, and High School Buzz student newspapers. On my almost-daily treks to the Hutchinson Public Library and the Hutchinson High School Library, I reviewed microfilm and print articles about Hutchinson football. Day by day, month by month, and year by year, the information began to come together through a process that was grueling but fascinating. After locating an article or photo, I needed to scan, crop, catalog, and load it onto a flash drive to take home. Back in my home office I filed the documents into folders, read each article, took notes, extracted statistical information, and organized it all into spreadsheets and documents. It would be fair to say that I developed close relationships with all of the employees in the Research Department at the Hutchinson Public Library and Hutchinson High School Library during my many visits over a period of seven years. The research involved in gathering information and materials for this book spanned almost seven years, with many hours spent interviewing former players, coaches, and sometimes their family members. Countless additional hours were spent culling through articles from The Hutchinson News at the Hutchinson Public Library along with Allagaroo yearbooks and High School Buzz student newspapers at the Hutchinson High School Library Media Center. Throughout the book I have been careful to cite the sources for information gleaned from my research, but some of the text is based on my own observations and analysis and thus is difficult to tie to a specific source. As I read articles, I took copious notes from which I summarized the information relevant to each year of Hutch High football. From there, I studied the season records and other statistics and added my analysis to the summaries. As a result, some of the information provided for each season has no source other than myself. In most situations I have cited these as “Steve Miller Statistical Analysis,” but there may be other places where my personal observations are intertwined in the text and difficult to cite as such.